San Diego's nearly 5 year old Council Brewing Company, which has operations in Santee & Kearny Mesa, took to social media today to announce their impending closure. 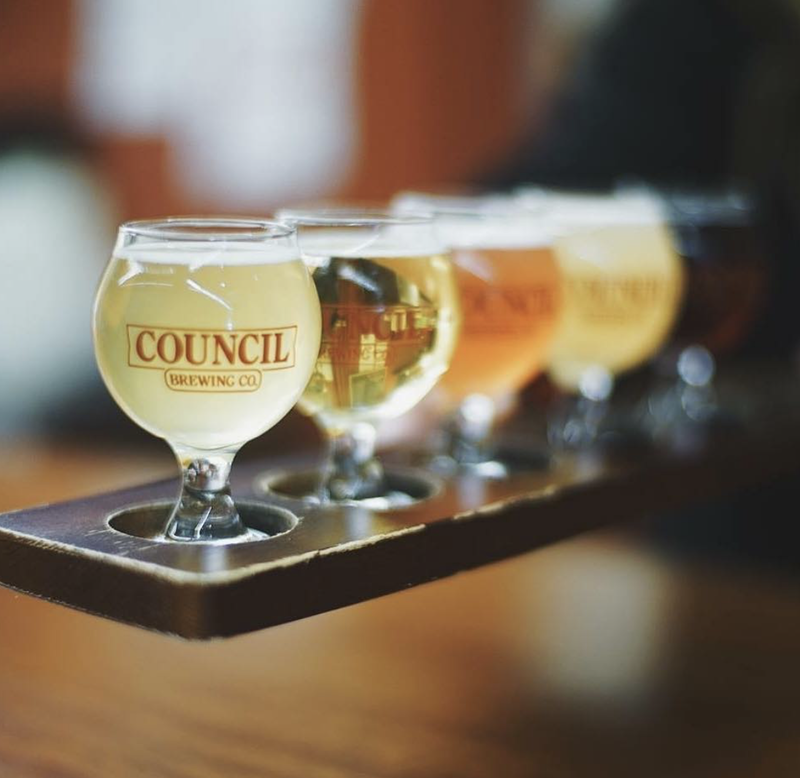 Founded in San Diego's Kearny Mesa neighborhood in May 2014 by husband-and-wife Curtis & Liz Chism, Council was partially funded by a crowd-funding campaign and was one of San Diego's only breweries with a female head brewer. The craft brewery expanded earlier this year by taking over the space that previously housed Finest Made Ales in Santee to open a satellite tasting room and brewhouse. Counsel Brewing will close its Santee tasting room after business on December 14, with their Kearny Mesa facility shuttering on December 15. For more information, vistit councilbrew.com and check out the full announcement below. 6 1/2 years ago, Liz and myself, Curtis, began plotting a course to open our own brewery. Just over 5 years ago we signed our first lease on what became our Kearny Mesa brewery and tasting room. We were blessed with enough customers to expand our brewery several times over these 5 years. There have been many ups and downs over the years including many long days to build our business. We entered 2018 knowing that it would be a make it or break it year for Council. We were excited when we opened our Santee brewery and tasting room and had hope for our future. However, we had many significant cost increases this year (freight, labor, rent, utilities, etc) and much lower tasting room/distribution sales due to over-saturation of the brewery market, we began taking heavy losses part way through the year. As a result, we’ve had too long of a stretch of declining sales that we can’t sustain any longer. Liz and I have always committed to being honest, ethical business owners. We committed to our employees that they would always be paid and that we always pay our bills. This meant that for the first couple years, we completely drained our life savings. We slowly rebuilt our savings the last couple years only to go back to not paying ourselves or reducing our already meager salary. We have no regrets starting and operating our brewery. We've had so many great times with our wonderful customers. One event I'll miss in particular is Talk Like a Pirate Day (aka "Pirate's Breakfast Day") and just enjoying our flagship west coast IPA, Bully Pulpit. We'll miss hanging out with our regulars, meeting first time visitors to Council, meeting fans from around the world, collaboration brews, and traveling for beer. We would like to thank each and everyone of you reading this for the part you’ve played in the Council story. We will miss sharing our beer with you and seeing how Council beer has strengthened friendships and helped others. As a way to say good bye, we are going to do what we do best. We are going to drink with our friends and support our community. Read first comment on details of when we are closing and how you can support the community.